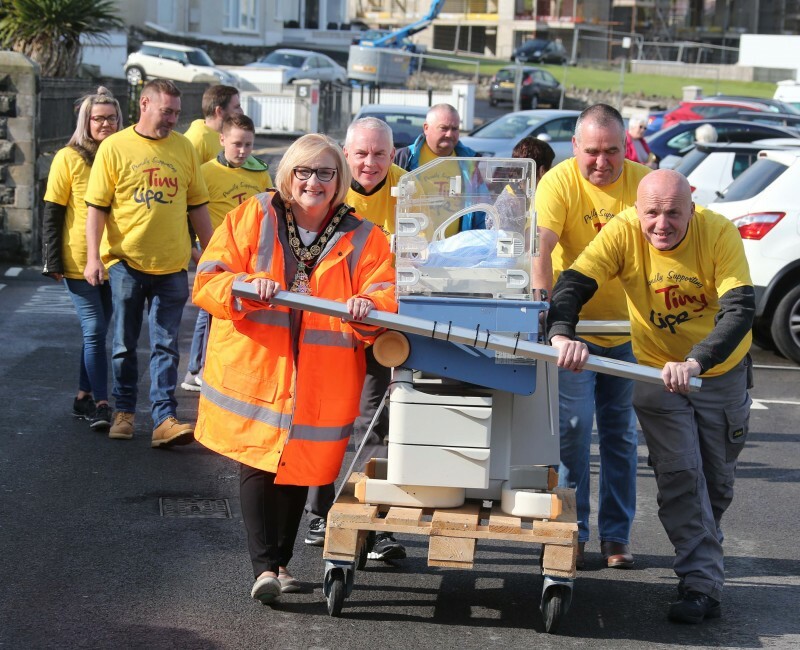 The event, which took place from Portstewart on Saturday 25th August, was supported by the Mayor of Causeway Coast and Glens Borough Council, Councillor Brenda Chivers. 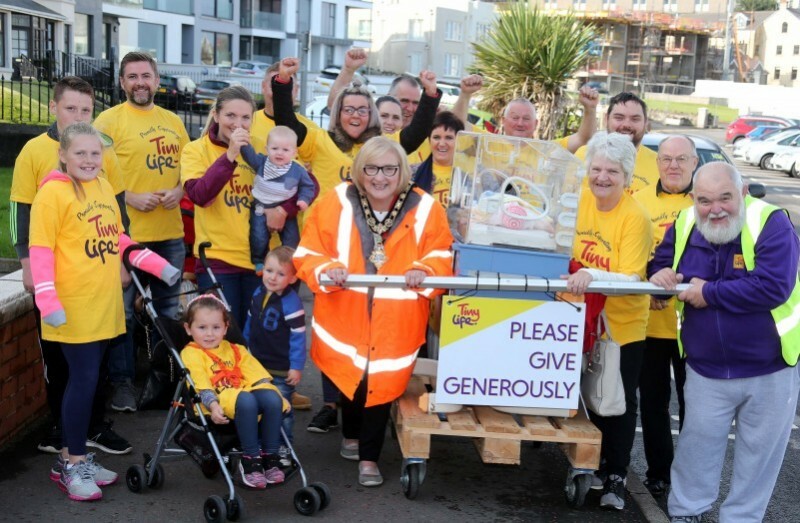 TinyLife, a charity which provides much needed support for premature and vulnerable babies and their families, is the Mayor’s official charity for the year ahead. 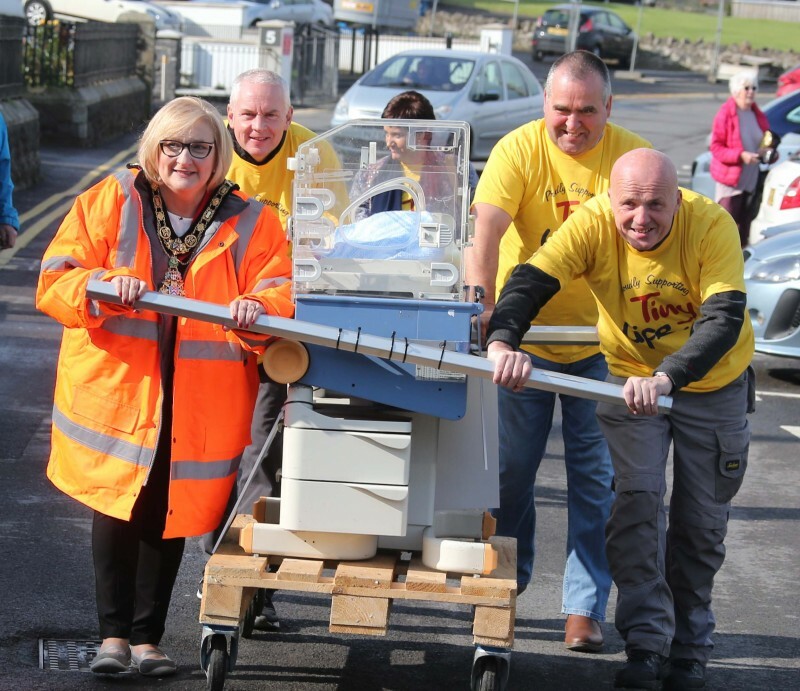 Along with family, friends and willing volunteers, the incubator was pushed to The Crannagh just outside Coleraine. Speaking afterwards, the Mayor said: “I would like to whole heartedly thank everyone who took part in this very rewarding challenge. 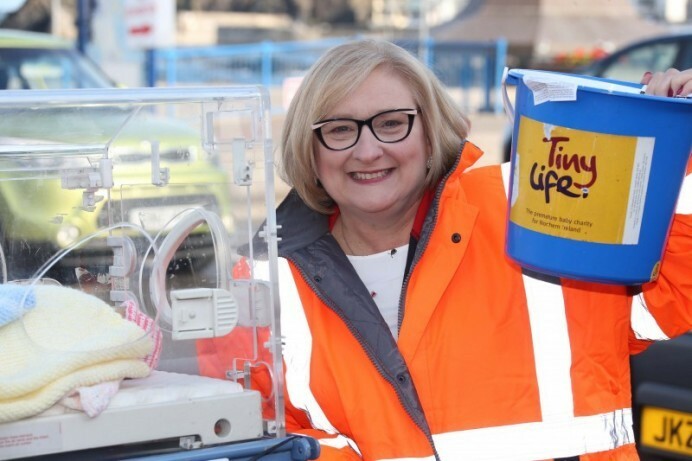 My family has personal experience of the vital services TinyLife provides as two of my grandchildren were born prematurely. They are now aged three and four and I was delighted that they were able to take part in this event as a way of saying ‘thank you’ for all the help they have received. “I am very grateful to everyone who has donated so far and I hope events like this will help to raise awareness of TinyLife. Donations can still be made online at www.justgiving.com/fundraising/brenda-chivers.